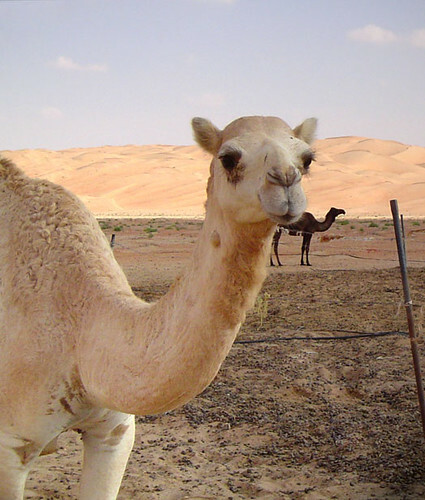 We're looking for nominations for the 2015 White Camel Awards that recognize significant non-technical achievement in Perl and its community. Each year we recognize work in the broad categories of community, advocacy, and user groups. These people keep the Perl community going and deserve to be recognized! To nominate someone, you can send me a name and your reasoning through any means you like. Reply here, post on Twitter (note @briandfoy_perl or use the #whitecamelaward tag so I'll find it), send me email, hire landscapers to write out the names in tulips then take an aerial photo you post to instagram, or something more creative. Note, however, that the method of nomination does not factor into our decision! I hope I can nominate several people. So tremendously often available and willing for a presentation, a course, or to help out at a booth, you would expect him to not even have a job. Not mentioning that without him, there would be no christmas for Perl 6 this year. Tremendously often available at Perl-events and willing for a presentation, to help out at a booth, explain things to people, help people with code and/or presentations. Tremendously often available at Perl-events and willing for a presentation, to help out at a booth, explain things to people, help people with code. Really, he never got this award? I think this man is working on a burnout (please don't!!!) doing loads of stuff for the Perl-community. Organiser of such a tremendous amount of special Perl-events. Originator of many ideas. Always helpful and friendly. Doing loads of stuff for the promotion of Perl. I have had a discussion with several people about why Larry has not been awarded yet, and I get it. But... Few people are more available for presentations all over the world, explanations, photo-sessions, marketing-efforts. He talks often (always) about us as a community, shows people how great a community we are, is available for this community. The White Camel Awards are given out by The Perl Foundation. A side effect of this is that people who are currently in TPF posts are excluded from nomination. I'm sure that Mark will be a dead cert for a White Camel as soon as he stops running the marketing committee. But until he does he'll have to make do with the silver camel he was given at the LPW last year. An excellent list Wendy! I'd nominate any of those people too. I might even add Matt Trout for all of the help and education he gives people on IRC. You can see she maintains a ton of critical CPAN bits most of us use all the time. She's also on IRC a lot with a strong presence monitoring and helping out. The HTML::Formhandler distribution is the current gold standard for form processing, validation and rendering. She's put a ton of time and effort into this project and has had a lot of stamina to maintain it for so many years. When I build Catalyst applications its always one of the prime technology choices I recommend (along with DBIC, Moo/se). Its essential glue code in today's modern stack. She also runs a channel on IRC supporting this technology. I'm the author of Mastering Perl, and the co-author of Learning Perl (6th Edition), Intermediate Perl, Programming Perl (4th Edition) and Effective Perl Programming (2nd Edition).